Saint Etienne boss Christophe Galtier has revealed that current Manchester United striker Zlatan Ibrahimovic reminds him of Reds’ legend Eric Cantona. Galtier’s men are all set to take on Manchester United this Thursday, as the two teams meet for a feisty Round of 32 clash in the UEFA Europa League. And the Ligue 1 outfit’s boss thinks Manchester United – the club he believes to be the biggest on the planet – will look to conclusively end the tie in the first leg itself. Speaking to The Telegraph ahead of the tie, Galtier stated: “For me, Manchester United is the biggest club in the world. It’s like a mountain. Mont Blanc. Himalayas. Big, big gap between Manchester and us. But I have my plan. Our objective is to still have hope for the game here [the second leg]. 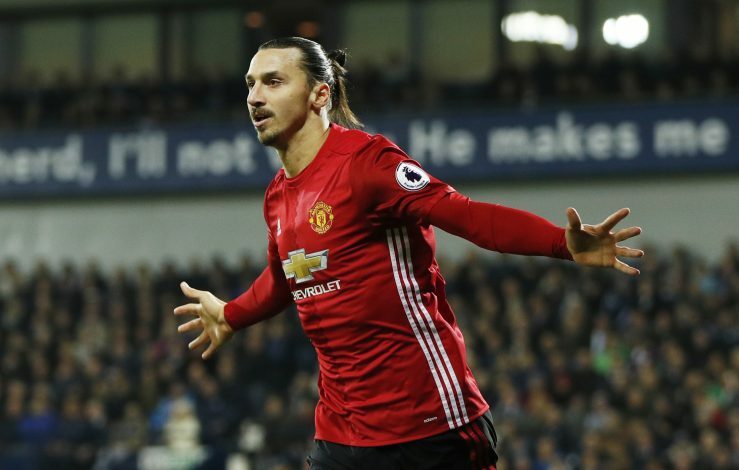 The 50-year-old manager then went on to passionately speak about Zlatan Ibrahimovic in detail, revealing how the Swede reminded him of his close friend and former teammate, Eric Cantona. “He’s a good guy,” Galtier added. “As with Jose Mourinho he is different from the image. He has a big, big, big, big, massive personality. But every time I met him there was mutual respect. We played a lot against PSG and in the beginning we won but after Ibra arrived – it was blah, blah, blah … goal, goal, goal. “I love those kind of players. They are strong. Very strong. When I look at Ibra I think of Eric Cantona. Big personality. He can get mad in one second, say big things, and then, ‘OK, I said it.’ But, above all, an incredible player. And he scores. Goals, goals, goals. Lots of people said he would find it difficult in England but, already, 20 goals.